Aphogee? Shea Moisture? Miss Jessie’s? If you’re tired of hearing about so many great hair products out there for naturals but can’t find them in SA, then you’re in luck. 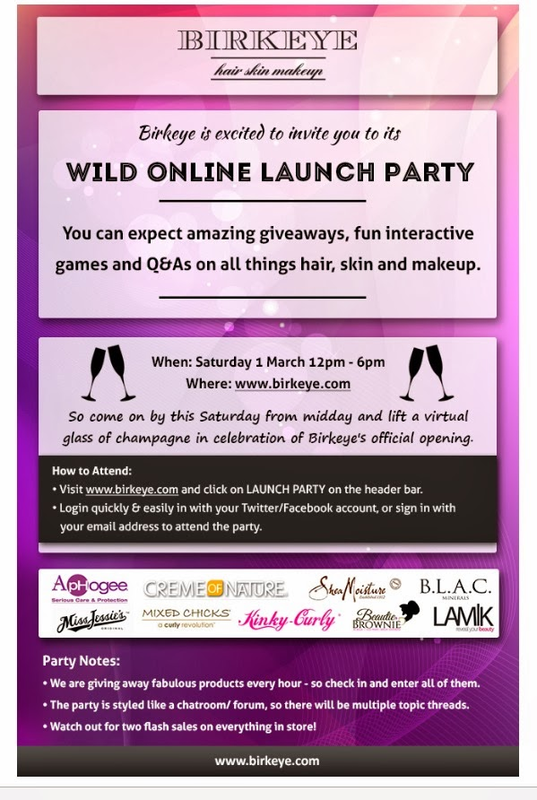 Birkeye is launching their fabulous new online store in an exciting new way – and you’re invited! And of course check out Birkeye for a head start. 5 Ways to Wear Marley Hair: 5!